Hip-hop artist Cedric Redmon thought getting out and explaining his message might give him a chance of being elected alderman in the Sixth Ward. The 32-year-old Fox Park neighborhood resident learned it wasn’t that easy when he came in third in the March 5 primary, behind incumbent Christine Ingrassia and Debra Carnahan, wife of former Congressman Russ Carnahan. The disappointments he had helped him move toward some bigger goals for his life. Other challengers learned the same thing. All the incumbents won, from Board of Alderman President Lewis Reed to the 11 aldermen who ran for re-election. But that didn’t help Redmon, who garnered only 19.5 percent of the vote. Redmon has been learning lessons like that since his life was jarred by his parents’ divorce when he was about 10. Redmon performed for such groups as church or school choirs starting around the age of 12. The writing led him to compose original songs. He kept going after he graduated from Hazelwood East high school. Since then, he’s been honing his skills. About five years ago, Redmon was on the road a lot. Now he’s staying closer to home. The way he performs also changed. He took that message to a mix of parks, churches, night clubs and sports events, any place that would have him. 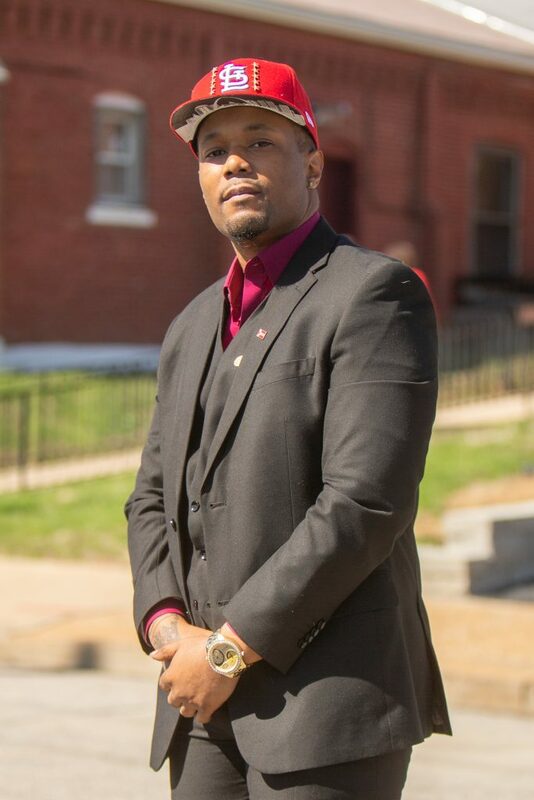 Today, the list of titles he holds includes father, musician, performer, on-air personality for Mix 99.5 and youth ambassador for the City of St. Louis. As youth ambassador, “I have a unique opportunity of having a voice with policy makers and legislators,” he said. He also helped to find high school students locally who should receive free tablets and internet access through Sprint’s One Million Project. The project’s goal is to provide free high-speed internet access and mobile devices to one million high school students who don’t have good home internet access. He’s also the father of a 12-year-old. “He’s actually a lot smarter than I am. He wants to be an architect,” Redmon said. All of this wasn’t enough to make him a politician. But in terms of affecting people, he may have more influence than those elected to office.